With Barely, Peas, Carrots, Parsley and More! Estimates based on some of our fresh ingredients, before dehydration. ** This product is made with human food grade ingredients. 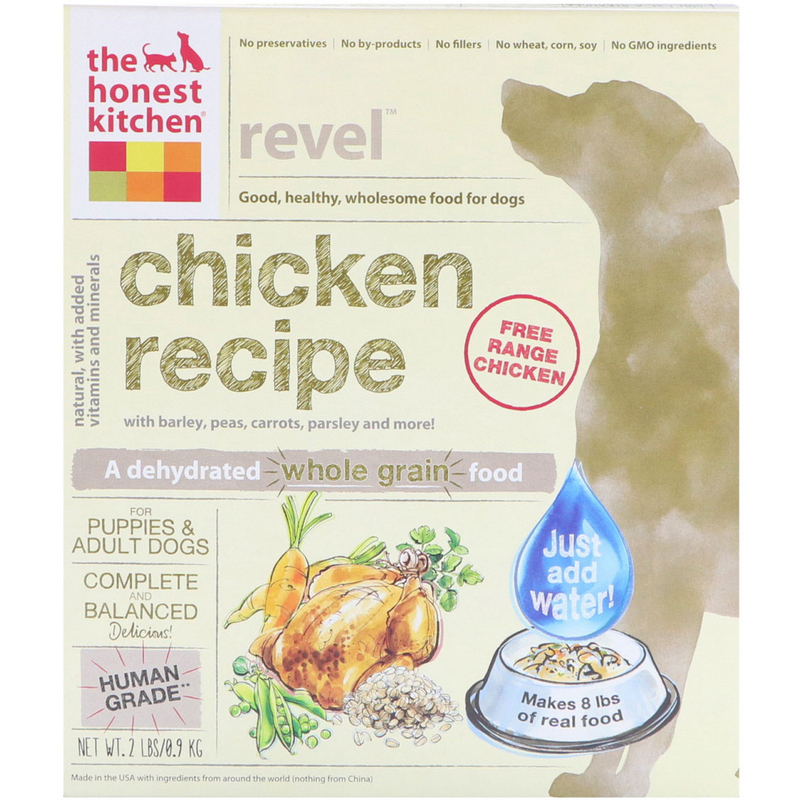 It contains no animal feed grade ingredients and is made in a human food production facility but is intended for your dog to eat, not you! 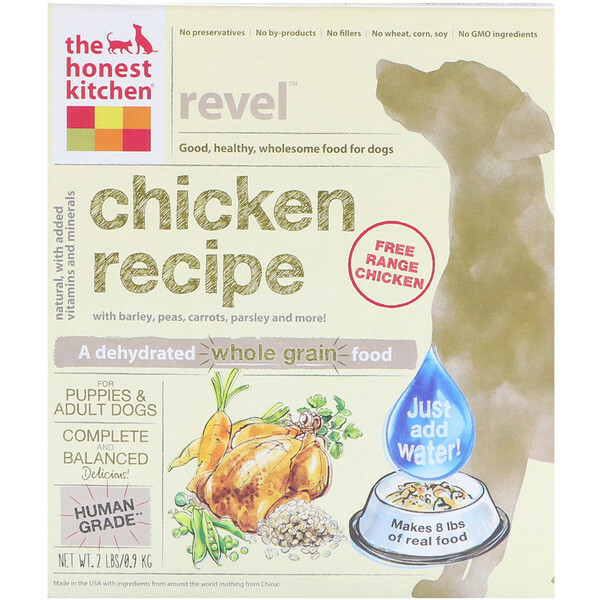 The Honest Kitchen is a way to feed your pet real, human grade wholesome food. 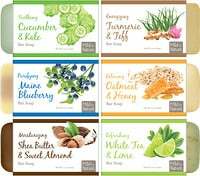 Our food is gently dehydrated, so it's natural and a healthy, less processed alternative to many commercial foods - but still safe! Revel is formulated to meet the nutritional levels established by the AAFCO Dog Food Nutrient Profiles for all life stages. 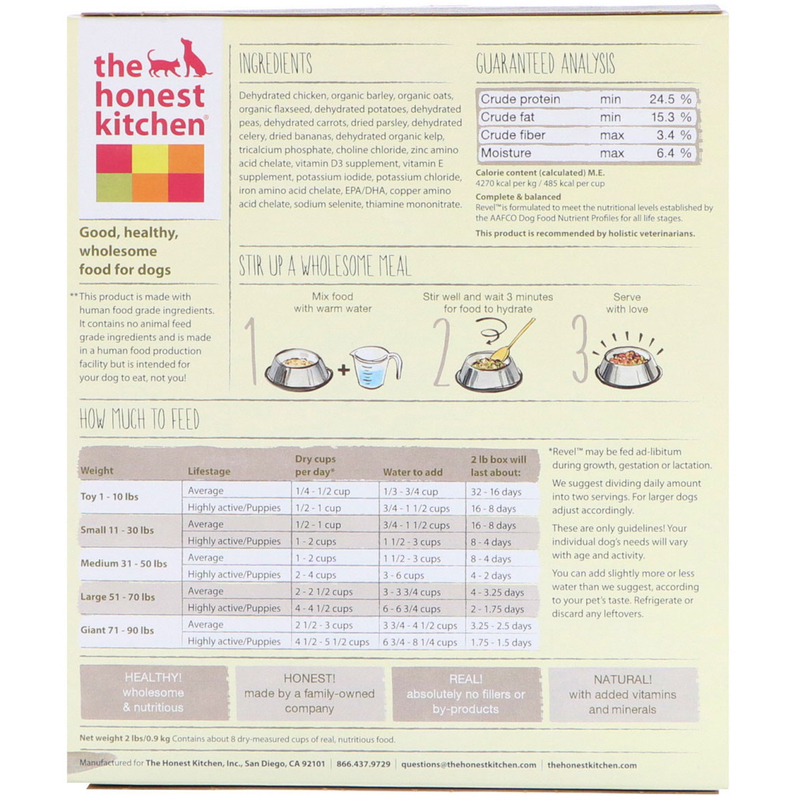 Mix in a little hydrated honest kitchen with your pet's current food over the course of 5-7 days (or longer if they have a sensitive tummy), increasing the amount of Honest kitchen each day, while decreasing the amount of your dog's original diet. *Revel may be fed ad-libitum during growth, gestation or lactation. We	suggest dividing daily amount into two servings. For larger dogs adjust accordingly. These	are only guidelines! your individual dog's needs will vary with age and activity. You	can add slightly more or less water than we suggest, according to your pet's taste. Refrigerate or discard any leftovers. Net	weight 2 lbs/0.9 kg contains about 8 dry-measured cups of real, nutritious food. Dehydrated chicken, organic barley, organic oats, organic flaxseed, dehydrated potatoes, dehydrated peas, dehydrated carrots, dried parsley, dehydrated celery, dried bananas, dehydrated organic kelp, tricalcium phosphate, choline chloride, zinc amino acid chelate, vitamin D3 supplement, vitamin E supplement, potassium iodide, potassium chloride, iron amino acid chelate, EPA/DHA, copper amino acid chelate, sodium selenite, thiamine mononitrate.